I realize to some of my readers the title for this article may be perplexing. 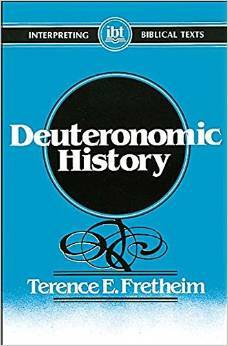 What is the Deuteronomic History, who is Fretheim, and why should I care? Let me begin by answering the next to last question first. 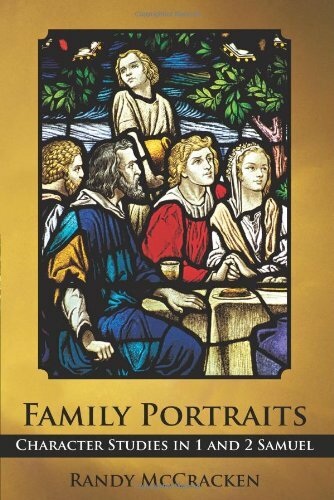 Terence E. Fretheim is the Elva B. Lovell Professor Emeritus of Old Testament at Luther Seminary and he is the author of many books on the Old Testament. Now that you have a brief introduction to Fretheim’s identity, I’ll let him explain what the Deuteronomic History is. “The deuteronomic (or deuteronomistic) history is a shorthand designation of fairly recent vintage for the books of Joshua, Judges, Samuel, and Kings, with Deuteronomy often recognized as the introduction to them” (Fretheim, Deuteronomic History, p. 15). In my last article in the “Violence in the Old Testament Series” entitled “Fire From Heaven: Is God’s Judgment Just?,” I took issue with Fretheim’s interpretation of Elijah’s slaughter of the priests of Baal. While doing some reading on 1&2 Kings for my next (long overdue!) article on Violence in the Old Testament, I pulled an old book off my shelf by Fretheim (the one you see to the right), and began to read a fuller explanation of his understanding of violence in the Old Testament, especially as it relates to the Deuteronomic History. I found some of Fretheim’s explanations very interesting and helpful. So to be fair to Fretheim, as well as to offer some helpful explanations about violence in the Old Testament, I wanted to share his insights with those who may not have read his book on the Deuteronomic History (thus my answer to the last question above). At the end of his discussion on the destruction of Jericho in Joshua 6, Fretheim pauses to present his views on violence in the Deuteronomic History (his full discussion can be found on pp. 68-75). He begins by framing the issue, of which I will share one small quote that sums up the problem as he sees it: “A perceived theological sophistication leads us to object to the idea that this God, whom we define largely in terms of love and mercy, could be associated with (or even command!) such violence” (p. 69). Next, Fretheim enumerates 6 explanations sometimes given in defense of the violence found in the Old Testament. Due to space considerations, I will not list them here, but I am in agreement with Fretheim that the explanations are inadequate (see pp. 69-71 for more detail). Finally, Fretheim lists his 7 explanations for the violence recorded in the Deuteronomic History. The rest of this post will dwell on these 7 explanations. 1. His first statement is brief, so I will quote it in full. “God has chosen to be dependent on human beings in the achievement of goals in the world. Even where divine activity so fills the scene as it does in this text [meaning Joshua 6], the human element is not missing” (p. 71). 2. Fretheim’s second point builds on his first. He states, “God works in the world with what is available, i.e., with human beings as they are, with all their foibles and flaws, and within societal structures, however inadequate.” He continues, “God does not perfect these aspects of the world before working in and through them….Thus the results of such work will always be mixed, and less than what would have happened had God chosen to work alone. Hence, as an example, there will be violence associated with God’s work in the world because, to a greater or lesser degree, violence will be characteristic of those through whom the work is done” (p. 71). These first two explanations are very similar to what I argued in a previous post in this series (The Pooh Principle: Violence in the Old Testament Part 8). 3. 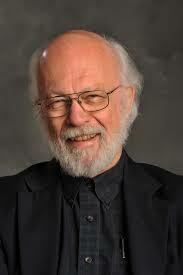 Next Fretheim argues that our perception of serving God is informed by the historical context we are in. Therefore he states, “It is very difficult to evaluate such perceptions because our context is not that of Israel’s” (p. 72). I believe this to be a very important point. Critics often argue against the violence in biblical stories from a 21st century perspective, often forgetting that had they lived in the context of ancient Israel their outlook would have been very different. We cannot expect God to work in 13th century Israel (or pick another century), the way he might choose to work in 21st century America or Western Europe. 4. Fretheim makes several significant points in this assertion. First he notes that, “Israel gave a twofold theological rationale for waging wars against the Canaanites the way they did” (p. 72). God did not want the false religious practices of the Canaanites to influence Israel (Deut. 7:1-5, 16) and second, Israel was to be God’s instruments of judgment because of the Canaanites wickedness (Deut. 9:4-5). Fretheim points out that, “Divine judgment in the OT was thought to be enacted within history, and not in some after-life. This made for a decisiveness of action that was not common in NT literature. Nevertheless, apocalyptic writing and the NT have an even more severe understanding of judgment; consigning the wicked to the eternal fires of hell. Thus, whether in the promised land or in heaven, utopia might be thought possible only by means of radical surgery” (pp. 72-73). Fretheim’s insight about the Old Testament’s “this-worldly” viewpoint and thus the decisiveness of judgment is significant. But as he also points out, the New Testament is even more severe in describing judgment. This is important for all of those who argue that God, through Jesus, projects a less violent attitude. It seems to me that God’s character, whether we are speaking of mercy or judgment, is consistent in both testaments. Although it is true that the Old Testament emphasizes a physical judgment in this world, and the New focuses more on spiritual judgment (although not exclusively). The other significant insight by Fretheim in this section is that, “Israel did not understand judgment in a narrow way” (p. 73). By this he means that the punishments visited on the Canaanites were also pronounced against Israel as well, and eventually carried out. He also notes that the Old Testament not only speaks of God giving Israel the land of Canaan and thus destroying, or driving out, the Canaanites, it also speaks of God doing the same thing for other nations (e.g., Deut. 2:5, 9, 12, 23). This is very significant, as it shows that God does not play favorites. God worked in other nations in similar ways to Israel, and if the Canaanites could be driven from the land because of their wickedness, so also could Israel. 5. Fretheim’s next point is that, “One simply has to recognize that with Israel’s world being the way it was, war (along with other trappings of government) was necessary for Israel’s survival” (p. 73). He does, however, argue that Israel may have been mistaken in respect to the severity of the wars against the Canaanites. Admittedly the conquest of Canaan was an offensive war, at least in the initial stages, whereas most of Israel’s wars were defensive. However, I am not convinced that Israel was “mistaken” regarding the severity of the wars with the Canaanites given that Israel was following God’s commands. In this aspect then, I am in disagreement with Fretheim. 7. Fretheim’s final point relates to point number 6. He notes that by involving himself in the violence of war, “God takes the road of suffering and death. Through such involvement, God not only uses flawed human efforts, but also absorbs the effects of their sinfulness and thus suffers violence” (p. 74). To my way of thinking, this is similar to that much greater act of Jesus on the cross when God willingly absorbed the violence and hatred of this world in order to redeem it. Thanks Steve. We miss you guys!